Vine Christian School is a Silver Status School and has enjoyed this status consecutively since the year 2000. This status recognizes our high academic achievements and adherence to ACE standards. 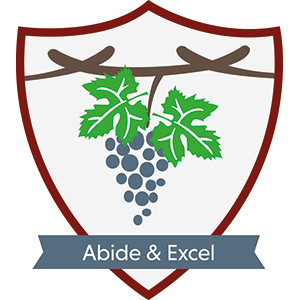 The Vine Christian School follows the internationally acknowledged ACE-curriculum (Accelerated Christian Education). Our school is one of many ACE schools in South Africa and around the world. 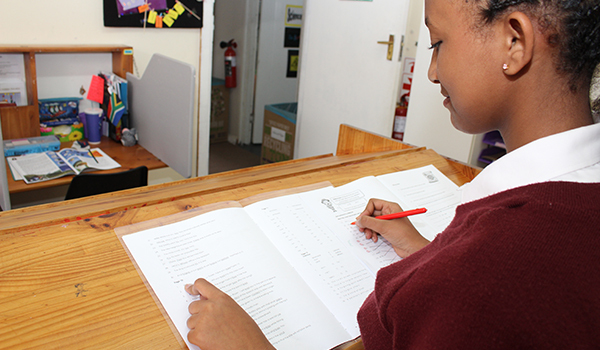 We offer classes from Grade R to Grade 12, with a very low teacher to pupil ratio. Proverbs 22:6: "Train up a child in the way he should go, even when he is old he will not depart from it"
Accelerated Christian Education (A.C.E.) is a unique education system that offers students the opportunity to learn at their own pace while being guided by excellent, Biblically-based learning materials. The programme was developed to offer parents and students a high-quality, Christian alternative to the conventional schooling system. A.C.E. recognises that each child has a unique learning style with God-given abilities and talents and has developed a learning approach that accommodates learners' individual capabilities. This programme utilises results-driven processes rather than conventionally applied time-focused education curriculum. A.C.E. provides mastery-based learning system and students learn to set their own goals and achieve them. Students also learn to think critically, creatively and independently. These skills are taught and developed throughout all the grade levels. The A.C.E. programme covers the critical outcomes and minimum standards of the National Curriculum Statements (NCS) as prescribed by the Department of Education in South Africa. Each year the school undergo a Quality Assurance process, undertaken by AEE Quality Assurance Department to see that the school is conforming to all standards and procedures. It is a very intense examination of all aspects of the school. If the school passes, the school gets a status. Silver status means the school has now achieved a high standard with ACE. This is a worldwide standard of quality. Feel free to ask to see our Silver Status Certificate.